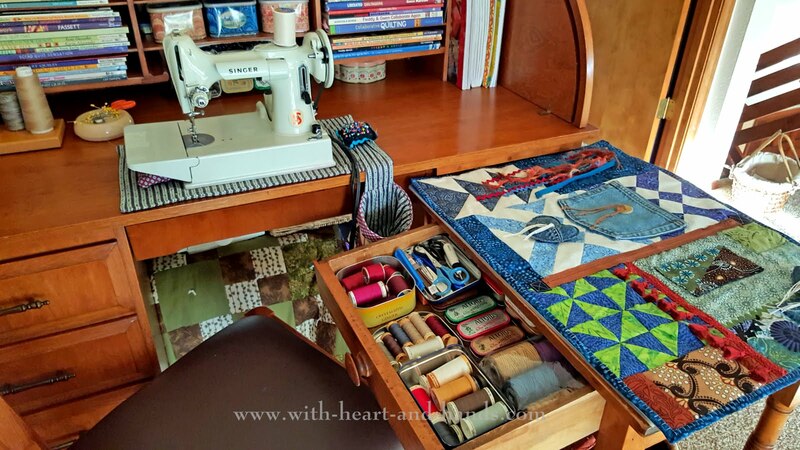 Michele Bilyeu Creates *With Heart and Hands*: National Quilting Day: Let's Sew!!!! National Quilting Day: Let's Sew!!!! I cut the tip off a finger and can barely type, I ran out of my metered satellite Internet service the first week of the entire new month of usage, I have 7 baby chickens living in my dining room, I sleep less than 4 combined hours a night, and I'm more than a little crazy from all of the above. Does it stop me from sewing and posting on below dial up speeds? Heck no! It's National Quilting Day and I'm sewing and quilting big time. Hard to keep a crazy woman down! I've had far too much practice!!!!! I will definitely be sewing today! How about you??? I have recently completed two more for my collection. Both were designed and created during a month where I was grieving the loss of loved ones and truly needed to keep my hands and heart busy and doing something productive. The one shown was made from orphan blocks and leftover piecing bits with laces, ribbons, yarns, buttons, jean pocket pieces, and scraps of all kinds. So much fun and look at just how cute! Imagine someone with Alzheimer's or Dementia receiving such a gift and the delight they might feel..literally and figuratively. And below, a little simpler one created from a small table topper square that I was given to use as I wished. I wished to turn it into a fidget quilt and added all of the trims shown. Here, some cute teapot and heart buttons, rickrack, ribbons and lace, securely sewn down (with quilting or button thread or crochet cotton or embroidery floss) bows, and a little trimmed pocket. Just the right size for a fidget mat to set upon a bedside table, a lap, or a community room table. 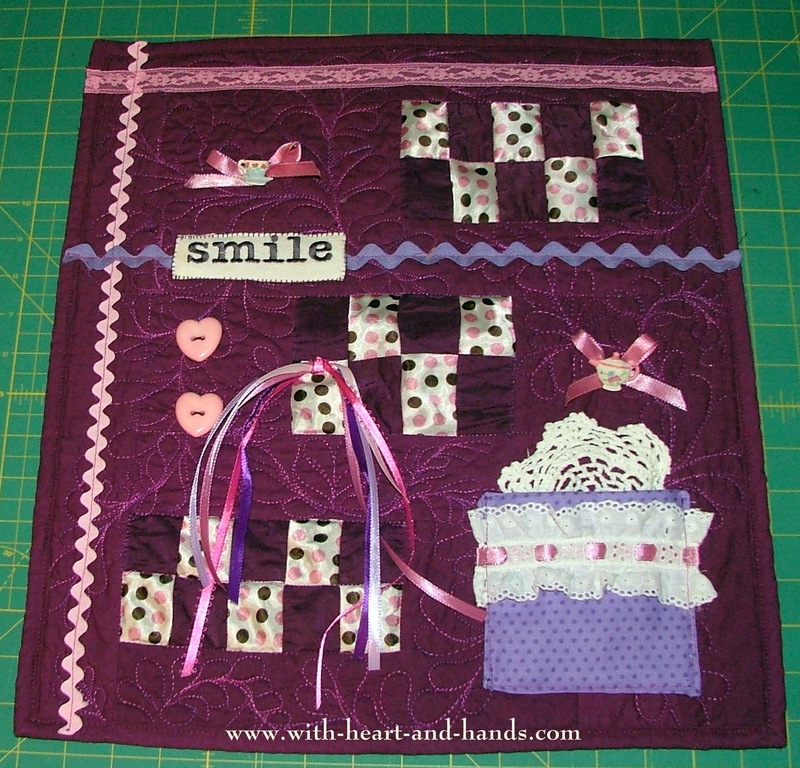 They keep the heart, hands, and mind happy and busy just as sewing and quilting do for all of us! A WIP..work in progress...above and now Finished!!! And because this has been a National Quilting month originating from this Saturday's designation as National Quilting Day...I will be, of course!! !..doing more sewing and quilting fun! In 1989, the Kentucky Heritage Quilt Society organized a “Quilters’ Day Out” on the third Saturday of March to celebrate the rich tradition of quilt making in Kentucky. In 1991, National Quilting Association officers were so enthused with the concept and success of “Quilters’ Day Out” that they voted to take it to a national level. From NQA’s website: Plan a National Quilting Day Celebration!! Make it a service day and work on a quilt for your favorite cause – national projects such as ABC Quilts and Project Linus, or local projects. If you don’t have a local service project, National Quilting Day is the perfect time to start one! Check with police and fire departments, children’s services, nursing or rehabilitation facilities or local hospitals to see if they have a need for quilts. Organize an exhibit for your local library or historical society. Exhibit quilts, tools, books, etc. Donate books to the library. Organize a quilt history day or a quilt documentation project. 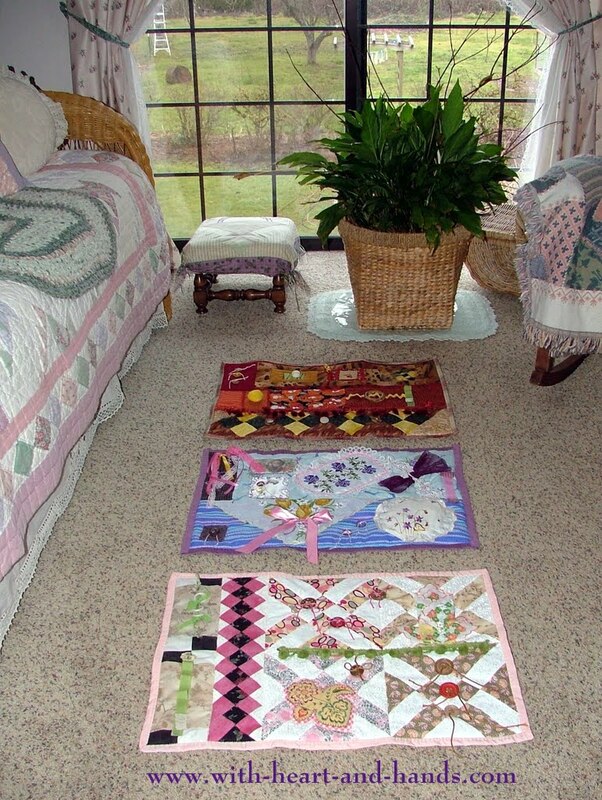 Invite members of the community to share their quilts and documents the quilts for your stat documentation project. If you don’t have a state project, work with other quilters in the state to start one! A good place to start is with your local or state historical society, or search the internet for quilt documentation projects. Make arrangements with your local library, historical society, quilt shop, or other public space to demonstrate how to make and attach simple quilt labels. Provide printed instructions and encourage everyone to label all their quilts and value them as family and community history. Offer to teach a simple quilt project to a school, 4-H, scout, or other youth group, or spend the day passing along your love of quilting to your children, grandchildren, nieces, nephews, or neighbors. 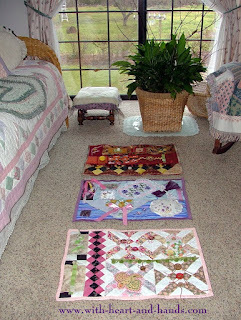 Contact a local senior citizens group or facility and organize show and tell of their quilts and yours. Or sponsor a sewing day to make lap quilts for seniors. Turn it into an oral history project to gather quilters’ stories from your community. You will be amazed at what you learn. Organize a stitch-in, banquet, workshop, lecture, retreat, bus trip or eve a shop hop. Coordinate a fabric or block exchange or challenge for your chapter. Contact your local hospital and make arrangements to donate a baby quilt to the first baby born on National Quilting Day. Encourage your local quilt shops to sponsor special NQD sale or activities. Create “goodie” boxes of sewing supplies and make arrangements with a local women’s shelter or recreation center to donate supplies or offer a beginners’ class. The possibilities for National Quilting Day are limited only by your time and energy! Even if you just curl up with your favorite quilting book, do something special to celebrate your place in the community of quilters. Free Quilt Patterns–four patterns to choose from, offered by Quilt Alliance board members Jodie Davis and Michele Muska. 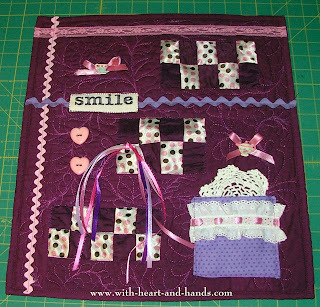 National Quilting Day graphics to post on your blog, social media page, website,.. I love your fidget quilts! Great idea! Thanks also for posting the history of National Quiting Day! I'm very interest in the fidget quilts. Is there a special outlet to send them too? Or do you just go to nursing homes. sound like something I would be interested in doing. Are there guidelines as in making them like you would for a toddler etc? All help[ appreciated. yours are so cute as well as functional. Any nursing or adult foster care facility, any Memory Care Units, any respite facilities at Senior centers. Trust me the word free creates great wishing and wanting. I had one place ask for 24 more. This is why I am seeking to "teach the village to quilt" rather than doing all of the quilting myself right now. Everyone loves them! I see you found the link and all the directions and ideas. .good for you! On top of all of your adventures (top of finger gone, sewing machine running and running and running, baby chicks peeping, and no sleep you've written a gigantic blog posting. Hmmm - are you also participating in the latest 'high energy diet' plan (whatever that might be?). I'm a bit late here, but yes I was sewing on Saturday - not quilts but fabric pockets.